How do the search engines know what my visitors do? How much SEO do you need to do? Can your site be SEOed? How long will SEO take to work? That makes sense anyway because you want the right visitors who will achieve your goals - buy something, click on an advert, sign up to a newsletter, etc. But it is surprising how many people get lost in wild goose chases just to get "more visitors" and end up turning their SEO into a numbers game which ultimately does them no good at all. Here is your actual desired scenario for long term search engine dominance. You carry out SEO and your page displays at or near the top of the search engine results. Internet users want to click on the link to visit your website (known as achieving "a good Click Through Rate - CTR"). These visitrs stay on your website for "a reasonable time" - they don't click the back button straight away (known as achieving "a low Bounce Rate"). Some visitors go deeper into your website and visit other pages. Some visitors add your website to their favourites either on their browser or in a virtual bookmark service like Stumbleupon, reddit, etc. Some visitors are so impressed they make a link to your website from their own website (such as in a blog post). Some visitors share your site on social media (facebook page, twitter account, etc.) which brings in more like minded traffic. And what do these wishy-washy statements "a good Click Through Rate", "a low bounce rate", "Some visitors ..." actually mean? Very simply rates and times that are better than your competitors. Achieve this and you will dominate the search engines for your chosen keywords and phrases over the long term. All major search engines can log how often they show your site in the search results for a particular word or phrase and how often users click through to your website from those results. They can also see how quickly users click the back button and return to the search results. Google and Bing can also monitor user movements if users are signed in but Google has the greatest advantage - Analytics. Almost all serious websites have Google Analytics installed which provides highly detailed information on user behaviour - both to you ... and to Google. And of course all search engines can see the links which are created to your site around the web and the quality of those links. We'll cover all this in for more detail later when we look at User behaviour and SEO. 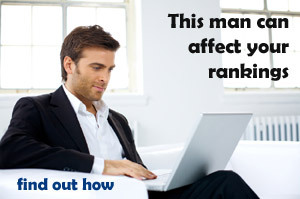 As mentioned above your SEO needs to be "better than that of your competitors". This could mean you can do all the SEO required to get your top rankings within a few hours because your competitors have done little or no SEO or, at the other extreme, it could mean you need a full time team of SEO specialists to match the budget and resource of your competitors. Some websites are SEOed once, some SEO requires monthly budgets spending thousands, tens of thousands or hundreds of thousands. This is why it is essential that, before you start your SEO work, you carefully consider which keywords you want to rank for so you set targets which are realistic for your time and budget. See Choosing keywords for the detail on this. If you would like to know what you are up against contact us for an SEO audit on your competitors. Websites containing duplicate content - e.g. a site made up of song lyrics (if it has been done search engines see no reason to index what they already have). 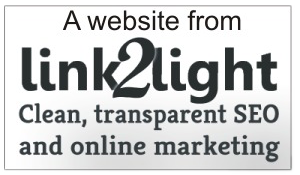 If you can answer the question "Is my website genuinely useful and original?" with an honest "Yes" then it can be SEOed. If your answer is actually "Don't know, I just want to make lots of money" then you will struggle. Stop the search engines penalising your website or "how to make the search engines stop hating you"! Start getting promoted up the results in the search engines or "how to get the search engines to love you"! Each of these stages is broken down into smaller and more managable steps but we recommend reading the whole guide first so you can keep some of the later steps in mind right from the beginning. A great deal will also depend on the size of your ambitions! If you want to get to the top of search engine results for "Jim's bicycle shop guildford" it's not going to take as long as dominating the keyword phrase "LCD TVs". This said there are clever, and legal, ways to get round even the most popular keywords - we will come to these later. Is this content now more relevant for any particular keyword or phrase? They make this initial judgement based on how their robots understand the page and then they test the robot's conclusion by showing your site high up in the search results a few times for that keyword or phrase. This is the moment some novices jump for joy because they see their site in the top 10 before slumping into a depression as it then drops down the rankings. The search engines are measuring the reactions of people to your new content and once they have collected enough data they will know where to rank you versus your competitors - that's all. Its an unfortunate truth but carrying out real Search Engine Optimization and then seeing no change in your rankings can be very telling. It means your competitors are also doing their own SEO and what you have done so far has just held the boat steady. Apart from the obvious issues of practicing Black Hat SEO it is possible to carry out legit optimization but simply get it wrong. One of the most common errors is just to concentrate on visitor numbers. But if you treat it as a simple numbers game this can drive up your bounce rate and cause a drop in the average amount of time users spend on your pages, both of which will have a negative effect on your rankings. These pages contain everything you need to know in order to work through your own optimisation because the only true way to get your website optimised for free is to do it yourself. But even this isn't truly free, your time has value and optimising your website takes a great deal of it so weigh things up carefully. As a word of caution don't become so obssessed with SEO that you forget to run your own business. You may laugh now but it happens. Remember to treat 'Free' SEO services offered to you with a great deal of caution. Unfortunately there is no such thing as a free lunch. Some sites are just after your email for their spamming lists, some companies place time bombs in your code that will freeze your website until you pay for them to be unlocked, and so the list of horror stories goes on. It is vital that you understand SEO to avoid being scammed. In my blog post What does "SEO my website" actually mean? I've included a real example from Upwork of someone who wants to contract out their SEO but obviously doesn't understand what it is making them an ideal target for scammers. The first step is to use these pages as a way to understand the basics and scope of clean SEO for a sensible and achievable list of keywords and phrases that you want to rank for (see Choosing keywords). Then you can make a well written brief in order to gather quotes, sort the wheat from the chaf, and make an educated decision on whether SEO is a job for you or one to outsource.